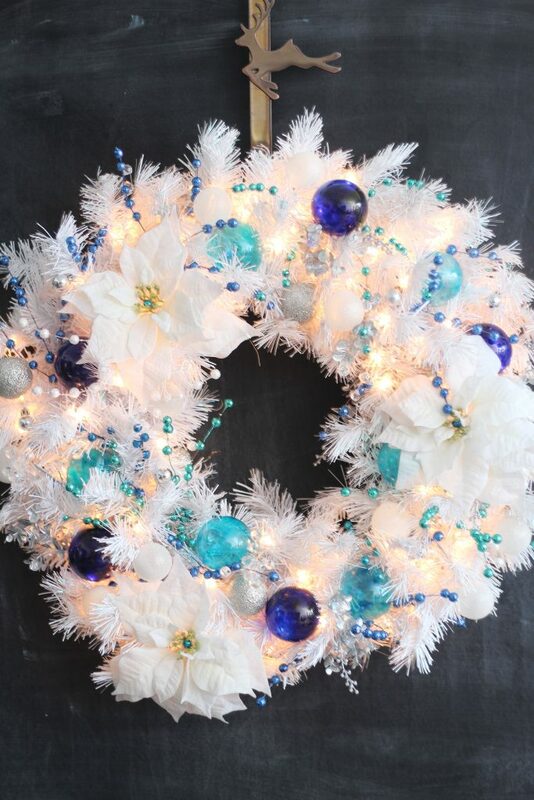 Add some holiday drama to your front door with this DIY Turquoise and Cobalt White Christmas Wreath! It is Day One of the 12 Days of Christmas Blog Hop and it’s DIY Wreath Day. I love, love, love making wreaths, so I could not wait to get started on this Turquoise and Cobalt White Christmas Wreath! Be sure to scroll down to the bottom of the post to check out all the wreaths from my blog friends, I know that you will find something that you will love! 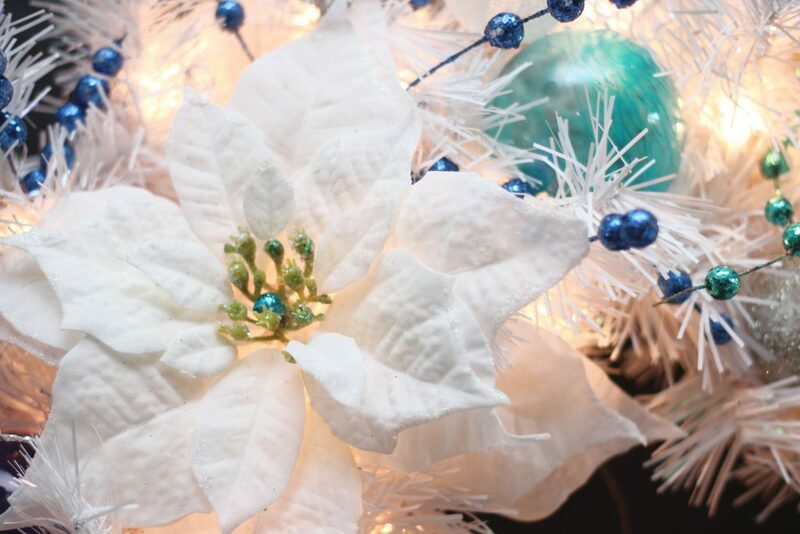 Last year, Treetopia sent me this Winter White Wreath which I used to decorate my Glam New Years Eve table. 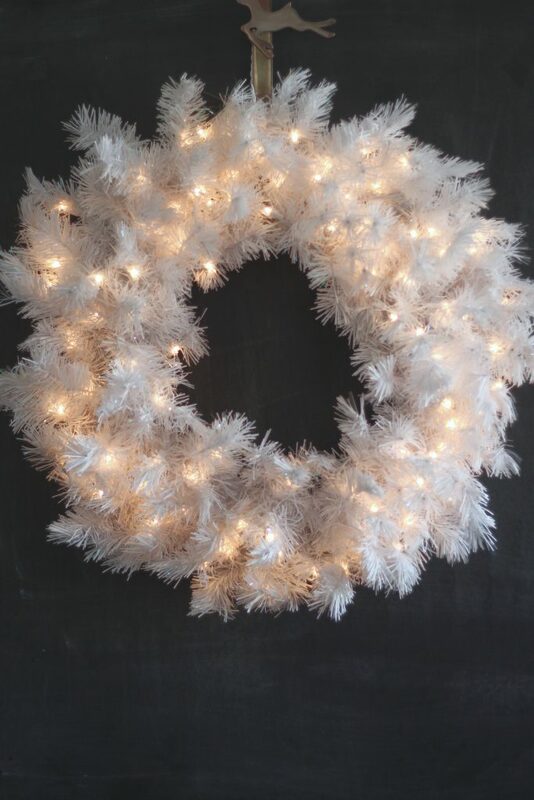 It’s a gorgeous, 30 inch wreath that has some iridescent branches and gorgeous white lights. You can see how I used it last year in THIS post. I decided to completely switch up my holiday colors this year, and could not wait to use this white wreath. Here is the wreath, sitting all naked against the hanging chalkboard. I think I’m going to need a fancy camera and some photography lessons to really catch the beauty of the wreath with the lights. I decided to go with turquoise and cobalt on the white wreath. Actually, I wasn’t too sure about the cobalt, but I had attached one of the clear cobalt ornaments I had made on to the wreath, plugged in the wreath and then left for work. When I got home at 1:30 am, I noticed how the light shown through the clear cobalt ornament and I was in love. 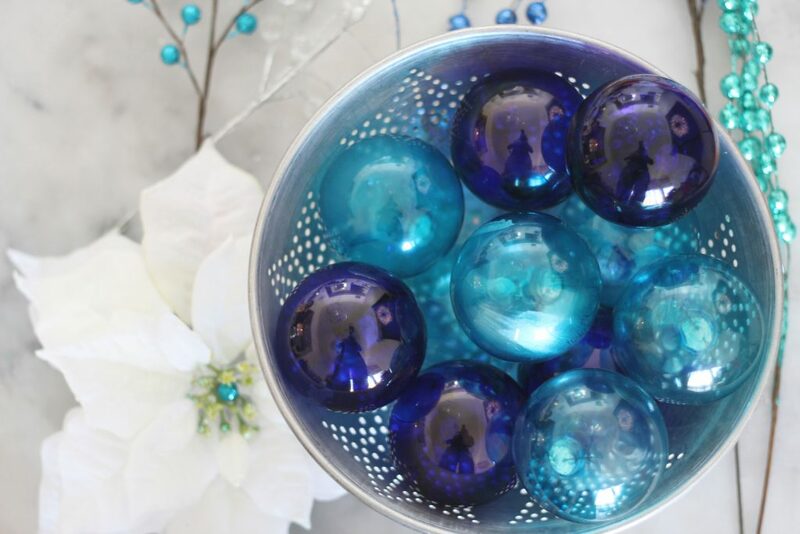 Want to make these gorgeous clear colored ornaments? 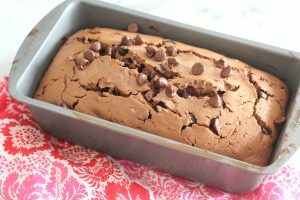 CLICK HERE for the tutorial! I was all about upcycling this year, so when I came across the white poinsettia clips that I had on the black Christmas tree last year. I added a little blue glittered bead from the glittered floral picks to the middle of the poinsettias. For the wreath I used white silk poinsettias, turquoise and cobalt ball ornaments, smaller glittered white ball ornaments, mini silver ball ornaments, silver leaf floral picks, glittered blue, turquoise and white floral little ball floral picks. Oh, and some crystal picks, just to get a little crazy. I tied all the picks and ornaments on to the wreath with some gold wire. This wreath looks great all lit up or unlit. 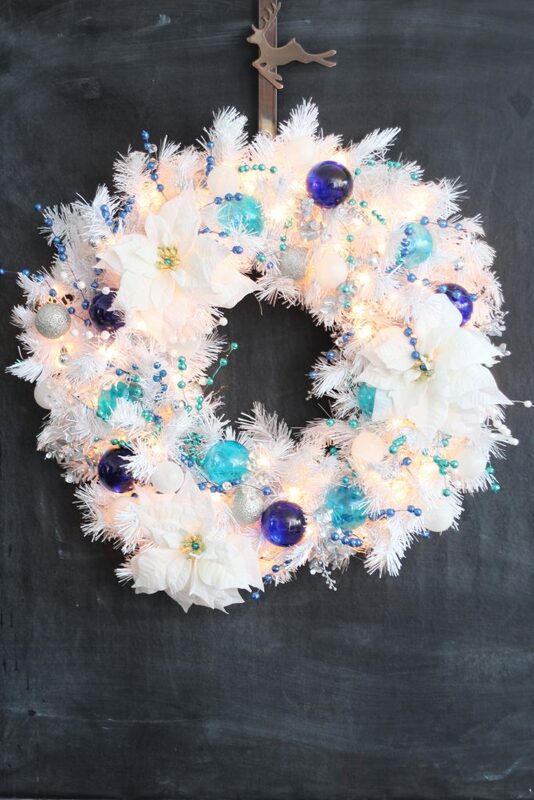 It’s perfect bright wreath for a holiday front door! The colors on the wreath against the white are gorgeous. It must be spectacular in person. True, the photos don’t do it justice! I’m a big fan of blue and white so your wreath jumped right out at me 🙂 With the lights on, it’s even better. I love it! 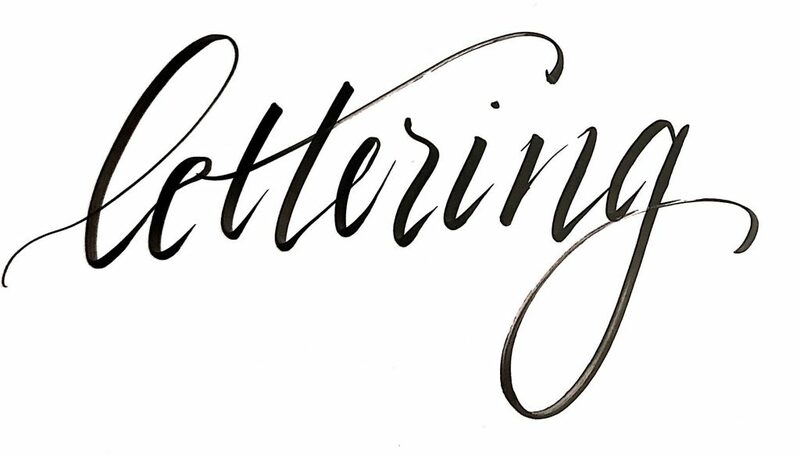 I’m seriously in love with it! What gorgeous colours you chose! 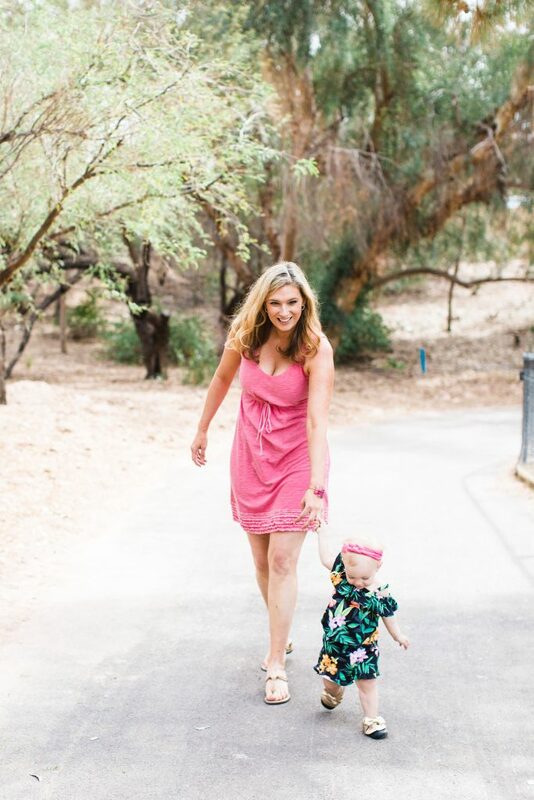 A wonderful way to see in the Holidays! 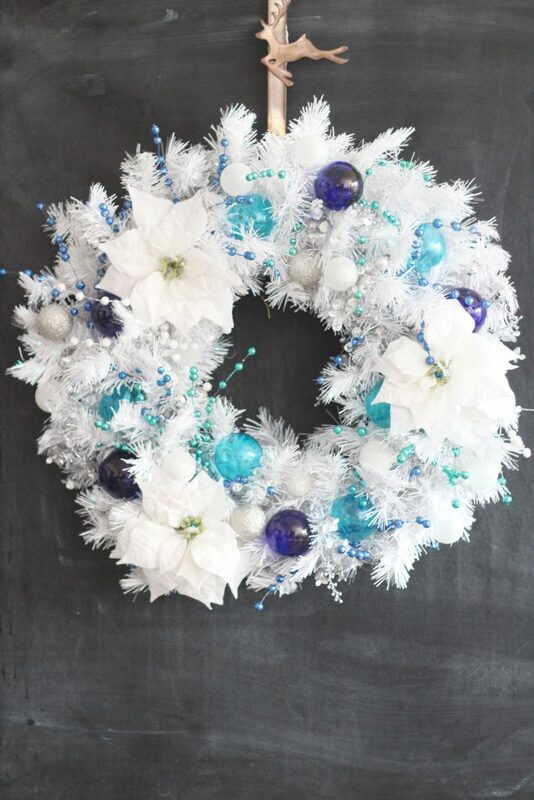 The white wreath just makes the blue and cobalt pop! Such a pretty wreath.